In Windows 10, Command Prompt has been revamped with some exciting features. These features include the modification of Screen Text and Background Colors. 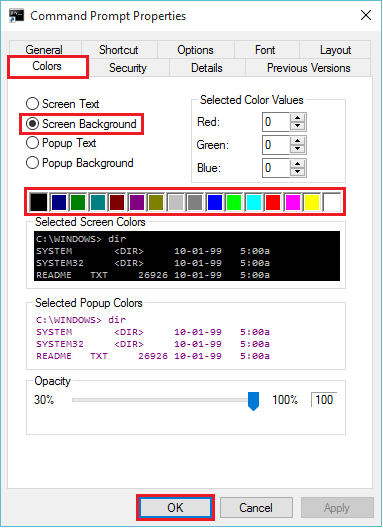 In Command Prompt, alteration in Screen Text changes the color of command line inputs whereas alteration in Background Colors changes the color of Background Screen. Type “cmd” in the Search bar located on the lower left bottom of your screen. 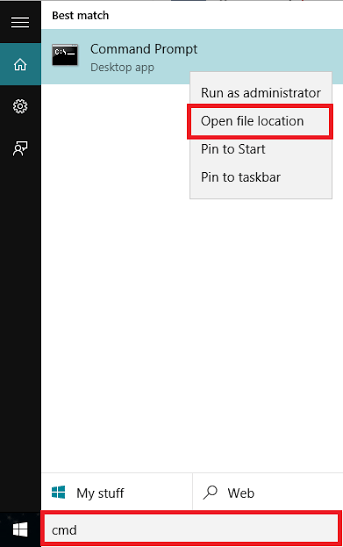 Right click on “command prompt” and click on “open file location”. 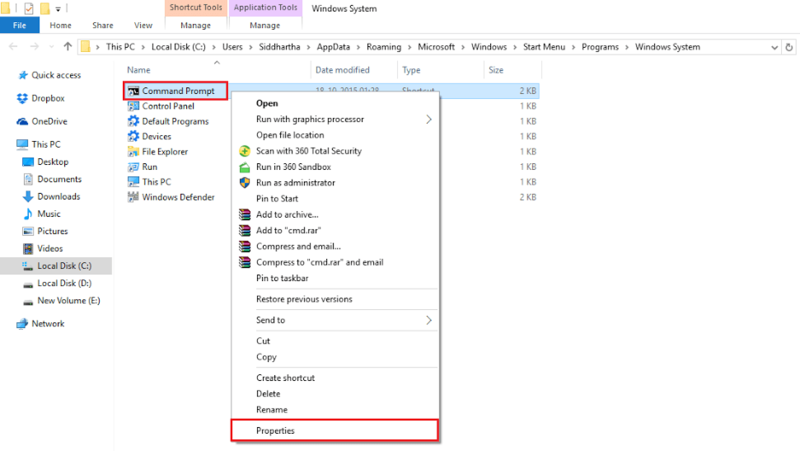 It will open a Windows system folder which will consist of system tools like Control Panel, Command Prompt, Default Programs, Devices, File Explorer, This PC (i.e. My computer) & Windows Defender. Right-click on “Command Prompt” and click on “Properties”. This will open Command Prompt Properties. Click on “Colors” section. Choose the “Screen Background” radio button if any other button is selected and click on any color to for a new Screen Background. You can observe the color of your selected choice under “Selected Screen Colors” option. Click on “OK” to save your changes. For changing Screen Text, click on the “Screen Text” radio button and chose your desired color. You can observe the color of your selected choice under “Selected Screen Colors” option. Click on “OK” to save your changes.